— plus Some Notes on "Wax"
The image above shows the green light from a cheap laser pointer focused on some ethanol-extracted 'concentrate.' 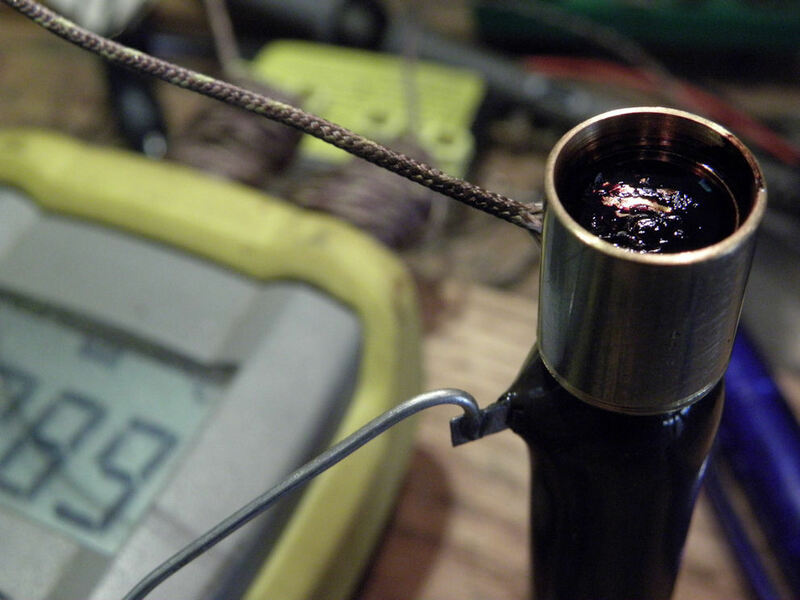 The focused light is copiously evaporating the concentrate into a smoke-like aerosol. 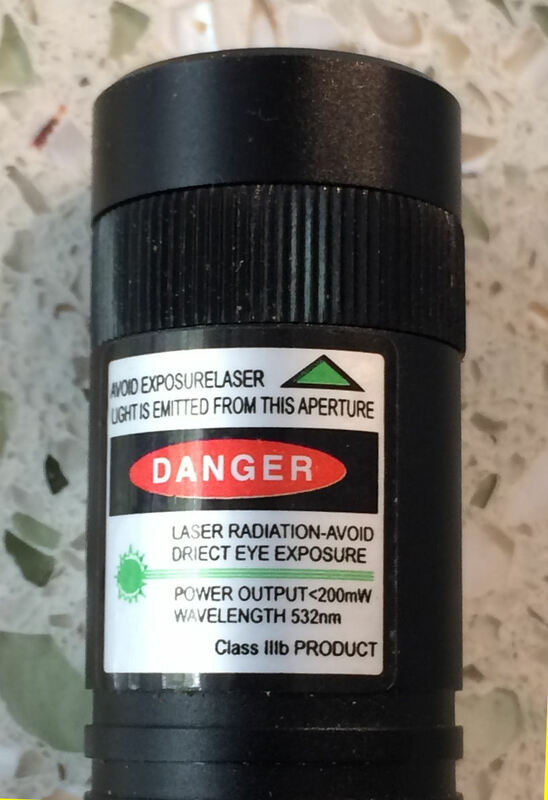 The laser cost $22 and came, free shipping, from China. It is more powerful than most laser pointers, perhaps with more than 20 times the power of older style laser pointers. If you put your hand at the focal point, you will feel it! Here's the laser fixture, with a circuit controls the electrical voltage and power (and the brightness) of the beam. (Click on the image for a larger view.) 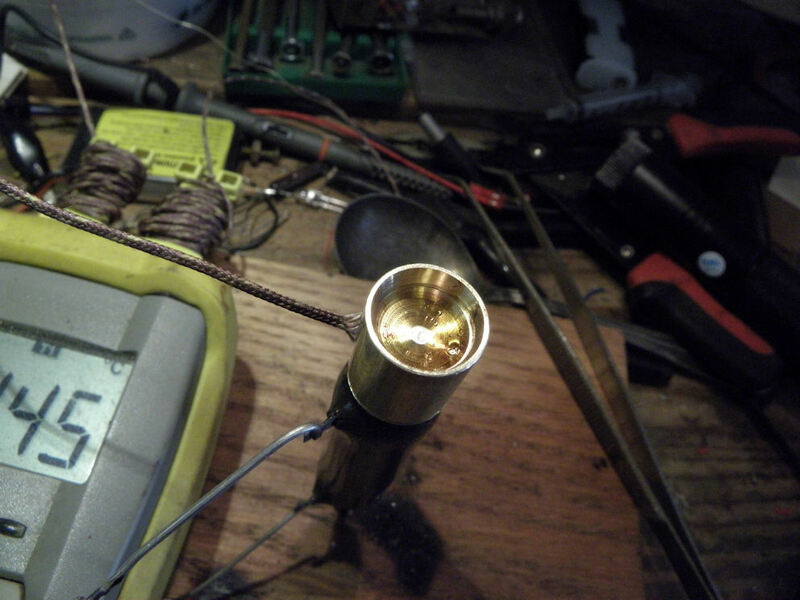 A laser microscope had been my goal, but then a friend said laser microscopes were already on YouTube so, just for the heck of it, I tried focusing the energy into some concentrate. Check out this short video of the aerosol "vapor" being produced by the focused laser beam. The lens that focuses the light is from an old digital camera; it's affixed in front of (bottom of, in the image) the pointer, i.e., where the beam ordinarily comes out of the pointer. If the power to the laser is cut way down, then the tightness of the focus of the beam can easily be seen, as here. 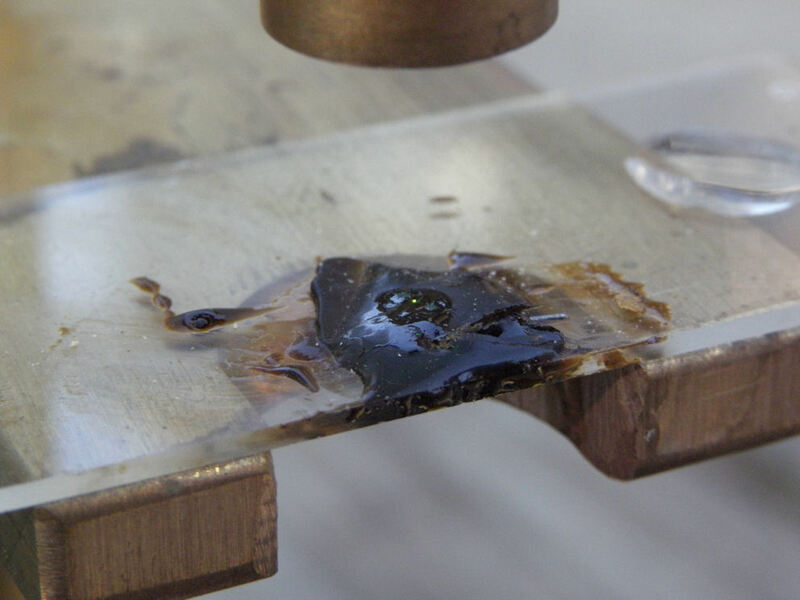 The dark tarry spot of 'concentrate' is about 1 centimeter wide (in the direction of the edge of the glass slide). I estimate the diameter of the focused spot of is less than 100 microns, i.e., less than 1/10th of a millimeter (<~0.004 inch). The photo at the top of this page shows the beam operating at near full power. 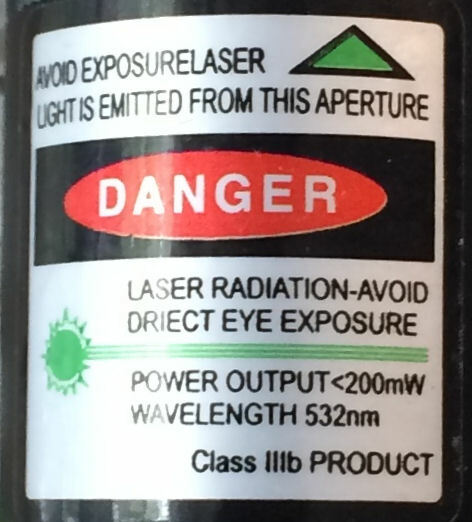 The image here, right, shows the laser pointer's label, which says the power of the beam is <200 mW, which means it's some where less than 200 milliwatts. It's obviously more powerful than the usual laser pointer, but there's no way of knowing its actual power output without measuring it. Sellers of these things tend to exaggerate the power output of their lasers, sometimes by a factor of 10 or more, I think. 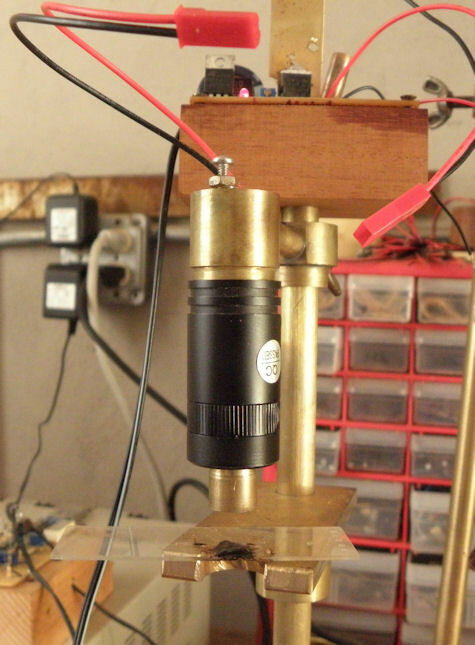 I control this laser's output by varying the voltage across the laser diode. Full voltage I assume to be that of a fully charged lithim-ion cell, which is the usual power source for this pointer, about 4.2 volts. 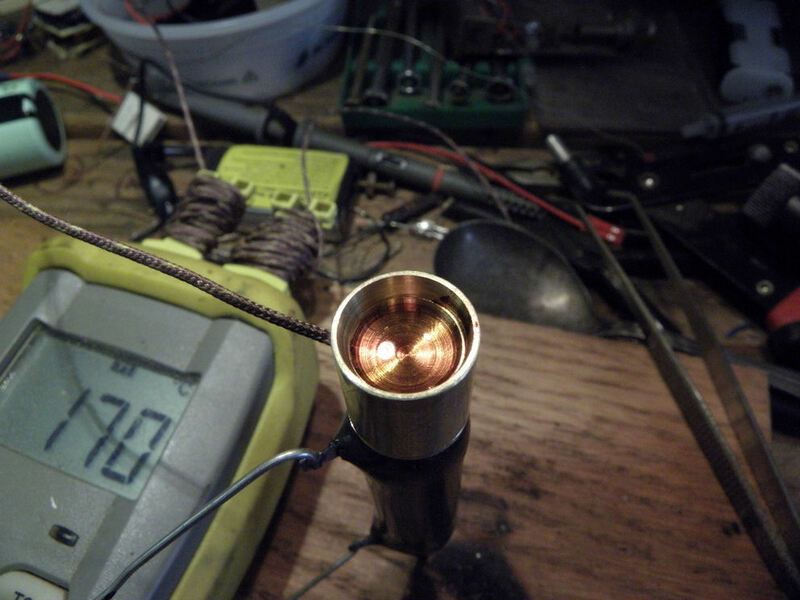 The laser begins producing visible output at about 2.2 volts. Production of "vapor" (i.e., aerosol) becomes evident at as low as 2.8 volts. 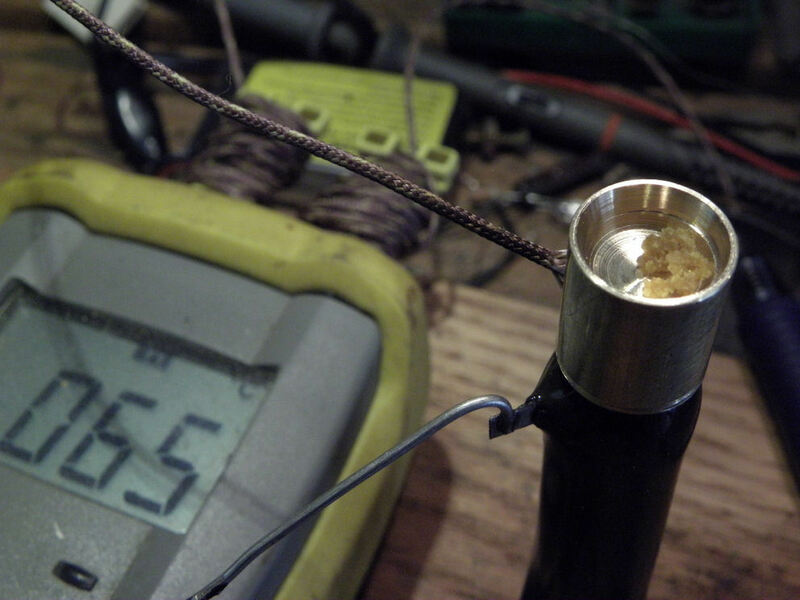 I haven't measured the laser's power output as a function of voltage; I suspect the power is not linear with voltage. 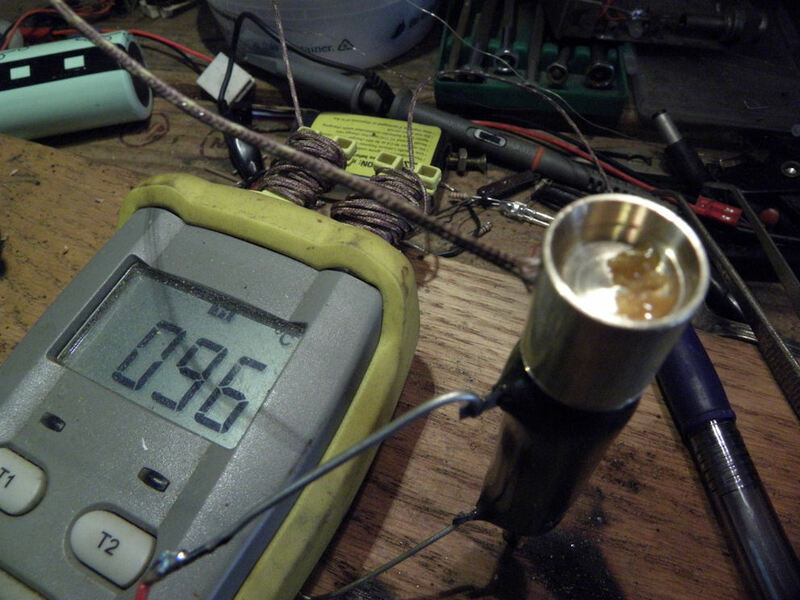 At 2.8 volts, the power might be 80 percent of maximum, but I don't know, yet. NOTES ON PHYSICAL PROPERTIES OF "WAX"
A friend in Baltimore gave me some "wax," which also goes by the name "shatter" and various other names though, generically, it is 'concentrate.' 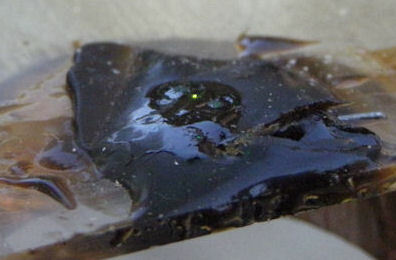 The black ethanol-extracted material used above with the laser one form of concentrate. 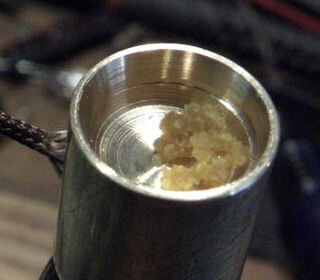 This "wax" shown here might be, but one hardly knows for sure about these things, butane-extracted concentrate. Whatever it is, it it yellow-greenish, like earwax, mine, at least, and with similar consistency but a nicer smell. (The brass bowl it is shown in has a diameter of about 1.2 cm at the top. 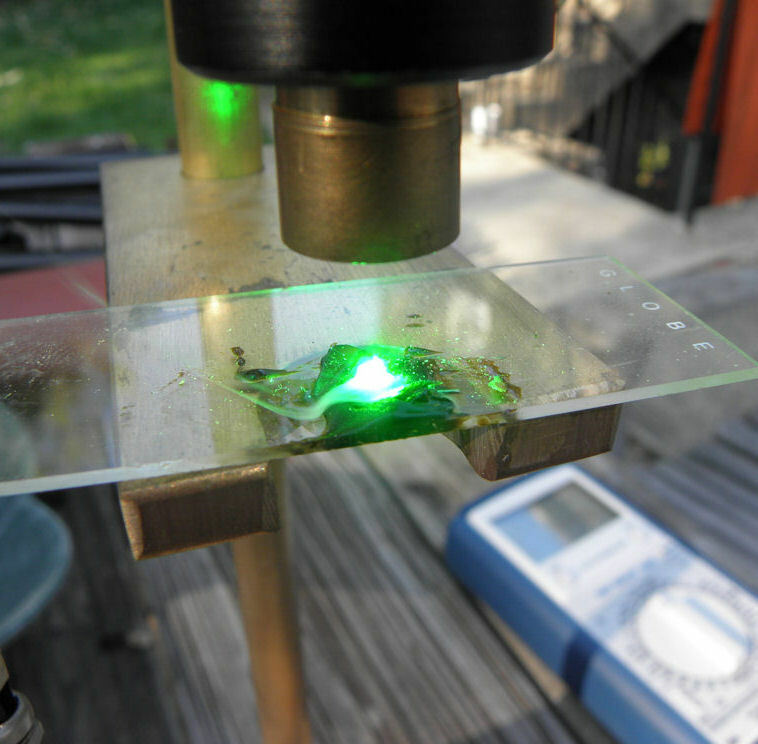 The laser can melt it, but this "wax" is too reflective of green light to get evaporated.